Merkel is obsessed with the German hyperinflation (which leads to demands for austerity) and assumes that her personal promise that Greece will be made to pay back any bailout, shows that she places her personal career above the variability of Europe and her own nation. Her stubbornness concerning Greece is placing the entire world at risk, for her hardline attitude is not one that will survive against an economic downtrend. 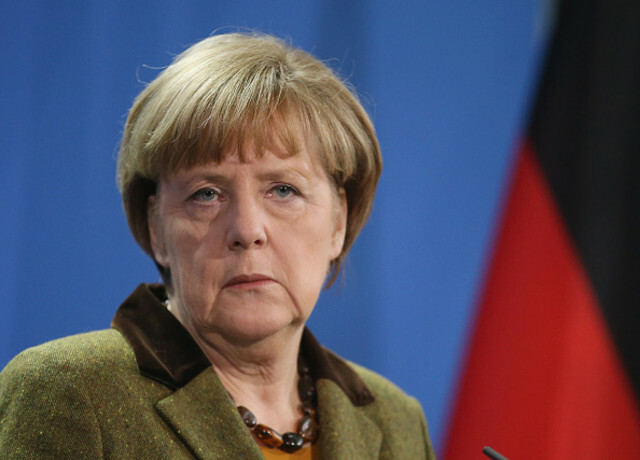 Merkel has serious amnesia for she overlooks or totally disregards the history of Germany. It was the oppression of reparation payments (austerity) that opened the door to Hitler. Clearly, this is what she is doing to Greece. In 1953, the West learned its lesson with World War I and this time 20 nations forgave the German debts, which is what enabled Germany to become the leading economy in Europe. Merkel’s narrow personal view has adopted the endgame of World War I in dealing with Greece, for the problem is not Greece’s alone. It was the faulty design of the euro to start with, so we will see this contagion erupt after 2015.75. The ONLY way the euro could have survived was to consolidate the debts at inception. Greece is being punished for joining the euro under false pretenses. What goes around does not come around in Merkel’s view. She is only concerned about her personal career, not the welfare of Europe.